Creamy Sriracha Bean Dip | Who Needs A Cape? 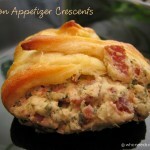 Getting ready to watch the big game and need something yummy? 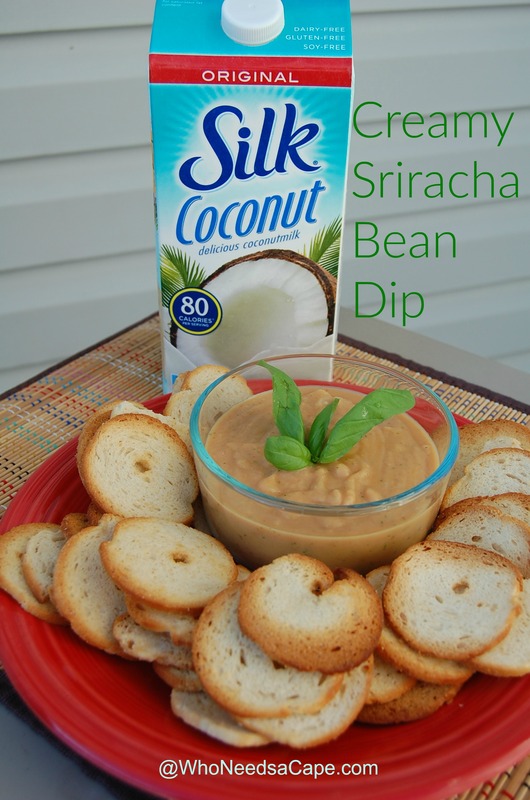 Try this Creamy Sriracha Bean Dip, packed full of flavor, perfect for crackers or veggies. We all know that what the crisp fall weather brings along with it, right? FOOTBALL SEASON…oh yeah! We just spent a crazy Saturday afternoon watching the Michigan vs. Michigan State game this past weekend, it was quite the game. One that they say will go down in history as one of the most memorable losses or wins ever. Depending on the team you were rooting for of course. 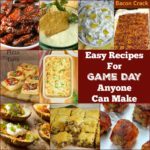 Tailgating and football go hand in hand! Delicious food just makes sports enthusiasts happy, and there’s nothing wrong with that. After a weekend of football games, Monday night rolls around and you know what that means? Yes, more football! 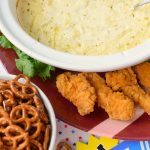 Monday Night Football is a must watch game each week, so of course you need munchie food. 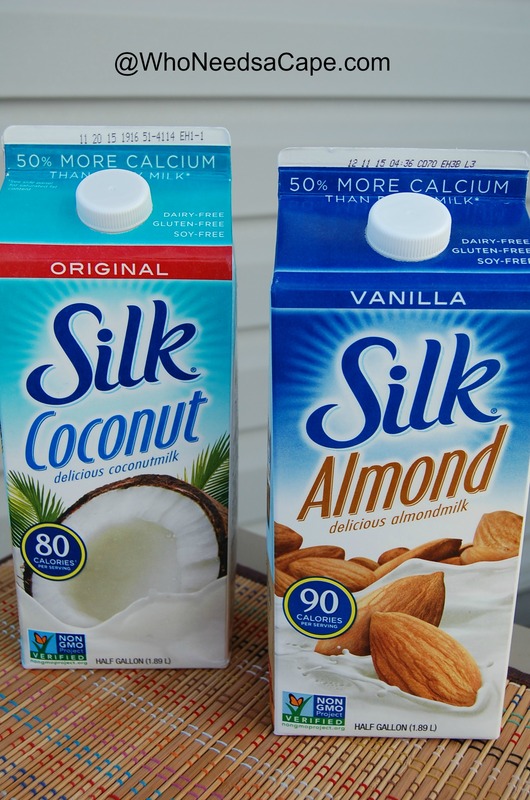 This time we went a little lighter with the snacks. Nothing heavy like meatballs or Lil’ Smokies as it is evening and everyone is either working or heading off to school on Tuesday. 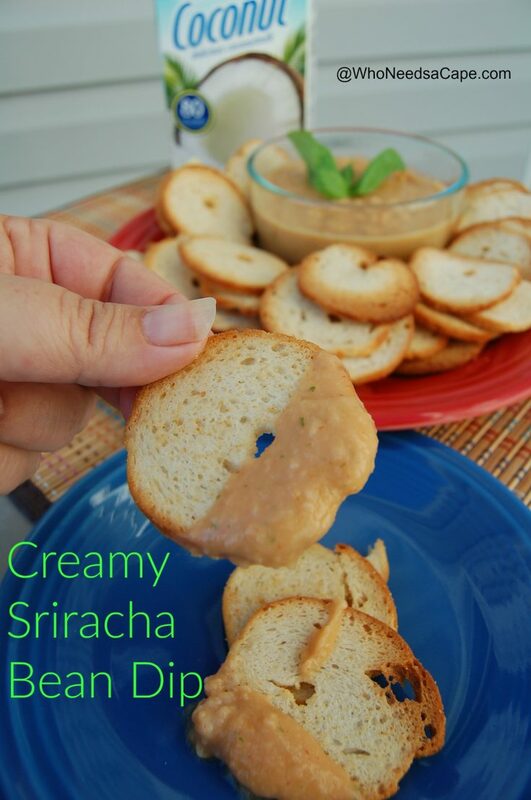 That’s where this Creamy Sriracha Bean Dip came into play! Made with delicious Silk® Coconut Milk and white cannellini beans, this is a hearty dip that won’t leave you missing the heavier fare. 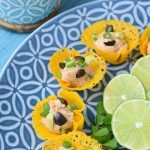 By choosing to serve some healthier food during Monday Night Football it also makes snacking more enjoyable for our oldest daughter as she enjoys a plant-based diet. Why not put the meat aside from our game-time buffet and serve a delicious meat-free option. 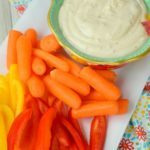 This Creamy Sriracha Bean Dip goes well with cut veggies or crackers, perhaps even Homemade Bagel Chips for some extra crunch. In blender or food processor blend white cannellini beans. 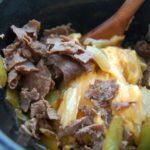 Add in all other ingredients and blend until thoroughly mixed together.